After a difficult market environment in October, November created additional heartburn as geo-political deadlines approached. The U.S. midterm elections results were mostly as expected, with Democrats taking control of the House of Representatives and the Republicans increasing their majority within the Senate. Across the pond, a draft agreement is in place after two years of negotiating the divorce decree between the U.K. and the Eurozone Bloc. With the late March 2019 deadline quickly approaching, this is a positive development but only the first step in many to avoid a hard Brexit scenario. U.K. Prime Minister Theresa May will likely not garner enough support to get a deal done in time; however, stock market volatility due to the approaching deadline may provide additional motivation. 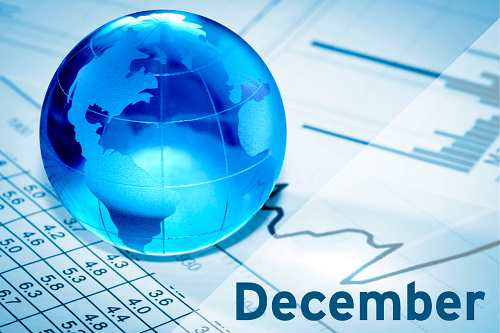 Equity markets reversed the recent negative trend to post slightly positive returns for the month of November. Most of the price action occurred leading into the G-20 Summit at the end of the month where China-U.S. trade talks were anticipated to take a positive turn. Ultimately, the result of a truce agreement was simply 90 days of less rhetoric regarding the ongoing battle of parting shots. As anticipated, the Federal Reserve left the Fed funds target rate unchanged in November, although U.S. economic figures continue to support future further tightening of monetary policy. The employment environment remains strong, evidenced by the economy adding 250,000 jobs in October, well above expectations. This pace of new jobs has kept the unemployment rate at current cycle lows of 3.7%. Inflation remains near the Federal Reserve’s core PCE target of 2.0%. Unexpectedly, Chairman Jerome Powell mentioned that rates are “just below” normal. Some market participants see this as a guide to future trajectory of interest rate hikes and have decreased their expectations for 2019. Ultimately, more art than science will play into where rates end up next holiday season.